Austan D. Goolsbee is the Robert P. Gwinn Professor of Economics. He previously served in Washington as the Chairman of the Council of Economic Advisers and a member of the President's cabinet. His research has earned him recognition as a Fulbright Scholar and an Alfred P. Sloan fellow. In prior years he was named one of the 100 Global Leaders for Tomorrow by the World Economic Forum, and one of the six "Gurus of the Future" by the Financial Times. His ability to explain economics clearly has made Goolsbee popular in the media. Jon Stewart describes him as "Eliot Ness meets Milton Friedman" and he has twice been named as a "star" professor by BusinessWeek's "Guide to the Best Business Schools." 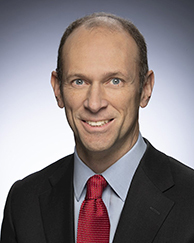 Goolsbee serves on the Economic Advisory Panel to the Federal Reserve Bank of New York and has previously served on the Panel of Economic Advisors to the Congressional Budget Office, the U.S. Census Advisory Commission and as a special consultant for Internet Policy to the Antitrust Division of the Department of Justice. He joined Chicago Booth in 1995. The Internet; the new economy; government policy; taxes. The Consumer Gains from Direct Broadcast Satellites and the Competition with Cable Television, Econometrica (2004). "Does the Internet Make Markets More Competitive? Evidence from the Life Insurance Industry," Journal of Political Economy (2002). "In a World Without Borders: The Impact of Taxes on Internet Commerce," Quarterly Journal of Economics (2000). "What Happens When You Tax the Rich? Evidence from Executive Compensation," Journal of Political Economy (2000). We use Adobe Analytics data on online transactions for millions of products in many different categories from 2014 to 2017 to shed light on how online inflation compares to overall inflation, and to gauge the magnitude of new product bias online. The Adobe data contain transaction prices and quantities purchased. We estimate that online inflation was about 1 percentage point lower than in the CPI for the same categories from 2014-2017. In addition, the rising variety of products sold online, implies roughly 2 percentage points lower inflation than in a matched model/CPI-style index. Investment Subsidies and Wages in Capital Goods Industries: To the Workers Go the Spoils? Does Government R&D Policy Mainly Benefit Scientists and Engineers? Using data on the prices of capital goods, this paper shows that much of the benefit of" investment tax incentives does not go to investing firms but rather to capital suppliers through" higher prices. The reduction in the cost of capital from a 10 percent investment tax credit" increases equipment prices 3.5-7.0 percent. This lasts several years and is largest for assets with" large order backlogs, low import competition, or with a large fraction of buyers able to use" investment subsidies. Broadband, or high-speed access to the Internet, has generated significant economic benefits. Certain regulations, however, are slowing investment and deterring entry into the broadband market. In this statement, we make two recommendations that would remedy these regulatory defects and thereby lower artificial barriers to competitive provision of broadband services. How Strong is the Bond?